DEI/A stanza 216 Contattare il docente via email (zanuttigh@dei.unipd.it) o al telefono (7782) per fissare un appuntamento. Pietro Zanuttigh was born in 1978. He graduated in Computer Engineering at the University of Padova in 2003 and got the PhD from the Information Engineering Department of the same university in 2007. 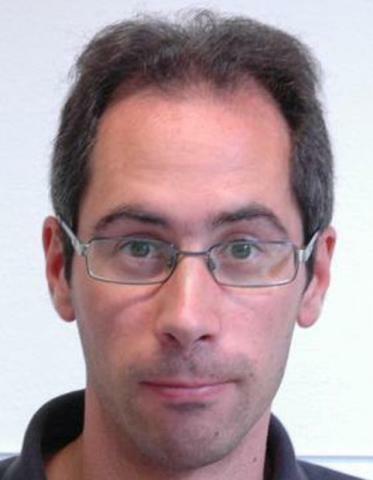 He has been a visiting researcher at the University of New South Wales (Sydney, Australia) in 2006 and in 2010 to work on compression and transmission of 3D representations with professor David Taubman. In 2007 he got the "ricercatore" (assistant professor) position at the University of Padova. In 2017 he got the "Abilitazione Scientifca Nazionale" for the associate professor position in the Telecommunications (09-F2) and Computer Science (01-B1) fields. Now he works in the Multimedia Technology and Telecommunications group and his research activity is mainly focused on 3D data processing. He has taught the "Elaborazione Numerica delle Immagini" (2008-09), "Elaborazione delle immagini e Grafica 3D" (2009-10), "Source Coding" (2010-11 and 2011-12), "Image and Video Analysis" (2012-13, 2014-15 and 2015-16) and the "Computer Vision" (2016-17 and 2017-18) courses. He has been involved in several European (VITRA, MUSTEEL, Mu-Blast), National and university funded projects. In particular he has been the principal investigator of the "3D Touch-less Interaction", "Smart 2D/3D cameras for applications in the city environment" and "Touch-less gesture recognition system for visual configurator applications" projects. He has also been the scientific coordinator for industry funded projects including the "Next generation Time-of-Flight cameras" project funded by Sony EuTec. He is co-author of two books, 24 international journal publications, 9 book chapters and more than 50 conference proceedings. His H-index is 17 according to Google Scholar and 12 on Elsevier Scopus. He has won 3 best paper awards and a "top 10%" award at the IEEE MMSP conference. He also holds two patents: "Method and apparatus for coding of spatial data" (WO/2013/149307) and "Metodo e dispositivo di elaborazione dati per la rappresentazione interattiva ad immagini di oggetti e luoghi su terminali mobili e fissi" (Method and data elaboration device for the image-based interactive representation of object and places on mobile and desktop devices). He has been a guest editor for IEEE Multimedia Magazine and for the International Journal of Digital Multimedia Broadcasting. He has also organized the "1st IEEE International Workshop on Vision and Graphics Computing for Multimedia Communications" jointly held with ICME 2011 and the "6th IEEE GTTI Thematic Meeting on Multimedia Signal Processing". He has been a technical program committee member of several conferences and workshops including ICIP, ICME, EUSIPCO and many others. The detailed CV is in the PDF file.